Was the Canon 5D the Digital Camera that Broke Film's Back? It seems like ages ago when most pros were still shooting film, but actually it wasn't that far back in time. In 2005, Canon released the EOS 5D—a full-frame DSLR that many think turned the tide for skeptical photogs still doubting what digital could do. The B&H Insights blog has a brief history of why that camera was so important. The 5D wasn't the first full-frame DSLR on the market. There were a few attempts by the likes of Contax and and Kodak. But they were s0 severely limited by things like weight, speed, and sensitivity that they never really took off. Meanwhile, the more popular APS-C crop sensor DSLRs weren't quite able to match the full 35mm field of view that photographers had been used to for decades. 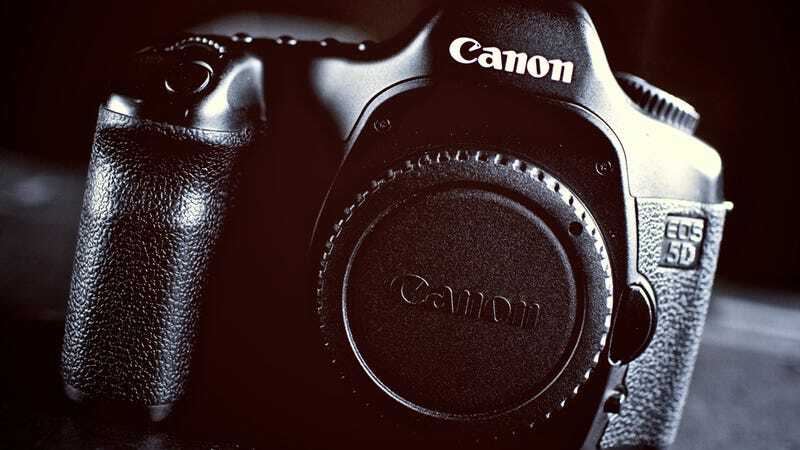 The Canon 1Ds proved to be a powerhouse when it was released in 2002, but the $8000 price tag and 3.5 lb weight made it beyond considering for many. The 5D cut both those specs in half, and brought practical, full-frame digital photography within reach for photographers everywhere. Check out more details about the 5D's influence at B&H Insights.